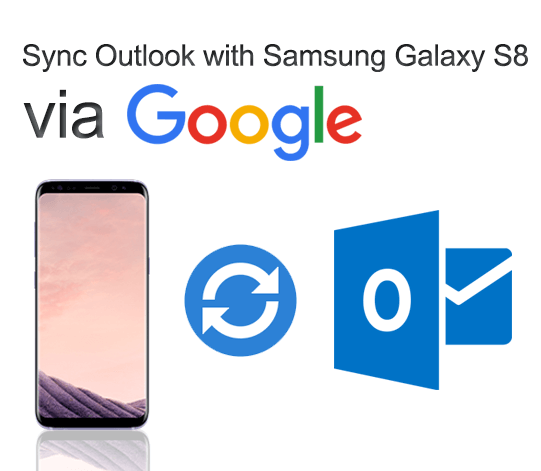 Sync2 is a simple synchronization software, which allows you to sync your Samsung Galaxy S8 with Outlook. Synchronize your Android device with Microsoft Outlook Calendar, Contacts and Tasks in a few simple steps using your Google account. To have all the Outlook data such as Calendar events, Contacts and Tasks on your Samsung Galaxy S8 phone, you must set up a Google account on your phone. After synchronizing Outlook with Samsung Galaxy S8, all the selected Microsoft Outlook folders (Calendar, Contacts and Tasks) will be easily accessible on your phone with all the latest changes. Sync2 is an advanced software to sync Android devices with Outlook. Effective Outlook data management on your phone. Sync2 offers one-way or two-way synchronization. Auto sync at specified time intervals. 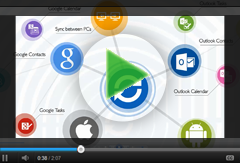 Background synchronization without interrupting your work with Outlook. Event-based synchronization to transfer only the latest changes, so your Android device will always be up to date. Create the synchronization profile and select Microsoft Outlook folders to sync with your Google account. Learn how. Synchronization will start automatically once you finish the synchronization set up wizard. Now your Samsung Galaxy S8 phone will be synchronized along with your Google account.